Some conspiracy theories describe actual conspiracies. And ignoring the evidence behind them can put a nation in harm’s way. Consider the possibility that an extended Pakistani family used their employment as cybersecurity specialists to steal emails, documents, and equipment from dozens of members of the House of Representatives and then transfer them to outside parties, including the government of Pakistan. 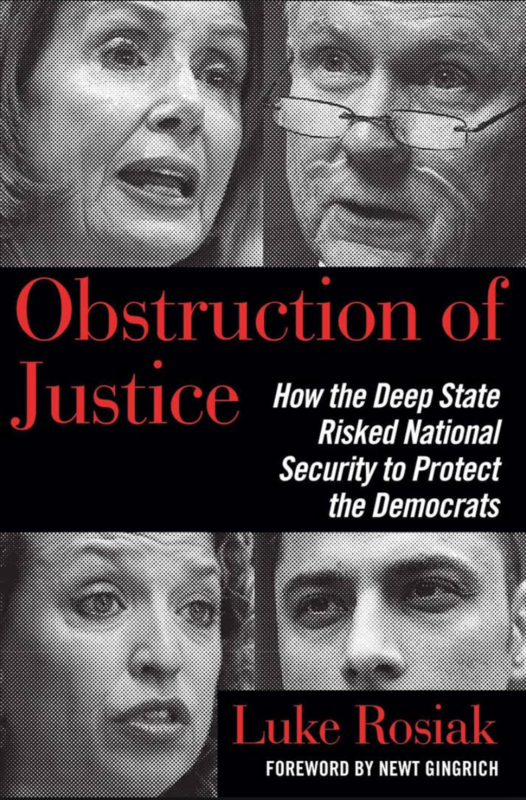 In a new book, “Obstruction of Justice: How the Deep State Risked National Security to Protect the Democrats” (Regnery), Daily Caller reporter Luke Rosiak makes a compelling case that this really happened. To their great debit, the FBI, the Justice Department, Capitol Police, and lawmakers in both parties ignored the danger signs, and often provided cover for the culprits. It’s overwhelmingly accepted among Democrats that President Donald Trump and certain top aides conspired with Russian intelligence agents via social media to “steal” the 2016 presidential election from Hillary Clinton. Yet a special investigation headed by former FBI Director Robert Mueller failed to turn up evidence of such a plot. Ironically, during this time, this embedded opposition willfully ignored national security issues created by a tightly knit, unvetted group of Pakistani immigrants. Rosiak spent two years putting the pieces together, often at considerable risk to himself, his family, and his sources. Many people did grant him an interview, but insisted on being put in deep background, fearing employer retaliation. Given the stonewalling he encountered, it’s a minor miracle that this book was published and that he appeared on TV to discuss his findings. Every conspiracy has its leader. And the alpha conspirator here was an aggressive con artist from Pakistan named Imran Awan. Born in 1980, Awan came to the United States as a teenager and settled in suburban northern Virginia near Washington. He became a naturalized U.S. citizen in 2004, the same year he found employment as an information technology specialist for then-Rep. Robert Wexler (D-Fla.). His position, which eventually reached an outsized $165,000-a-year salary, amounted to a no-show job. He focused most of his energies on various business ventures in the United States and back home. Every one of them, Rosiak argued convincingly, was a scam. Awan often bragged of his invincibility, made possible by political connections, claiming in one instance that he had the power to “change the U.S. president.” Family members, similarly overpaid (and underqualified) IT specialists for House Democrats, also devoted inordinate amounts of time to these side projects. They consisted of Awan’s wife (one of two wives, actually—and also a first cousin) Hina Alvi; his brothers, Abid and Jamal; Abid Imran’s Ukrainian-born wife, Natalia Sova; and a close family friend, Rao Abbas. Other than Imran Awan, these people had little or no prior training in information technology, which begs the issue of why they were hired in the first place. The book documents substantial evidence of the Awan crew’s many fraudulent schemes. “Outside of Congress,” writes Rosiak, “Imran Awan was known as a predator who would stop at nothing for a buck.” The author cites numerous examples of his fraud, embezzlement, extortion, and money-laundering via enterprises whose existence he failed to disclose on requisite House ethics disclosure forms. Awan’s lawyer told Rosiak that he had “no idea” as to the nature of these companies, a sure sign that law enforcement agents never bothered to ask. To call these enterprises “businesses,” as Rosiak writes, would be a major stretch. Imran Awan’s real estate operation in northern Virginia consisted of buying homes and renting them to unsuspecting tenants, whom he later would falsely accuse of rent nonpayment and property damage so as to shake them down for money. On occasion, he put properties in the names of family members to facilitate mortgage fraud. His short-lived car dealership, with brother Abid as the front man, was no more reputable. Many of the cars he sold were badly defective; yet, if a customer requested repairs free of charge, Imran typically refused to provide service and threatened that person with “dire consequences,” a favorite phrase of his. The operation, faced with unpayable debts, went out of business soon enough, but Imran Awan covered his tracks by making a partner into the fall guy. Awan allegedly also used the dealership to launder a $100,000 loan from a Baghdad-born doctor in suburban Maryland who had fled the United States to avoid arrest for committing more than $2 million worth of health care fraud. One of Awan’s companies, New Dawn 2001 LLC., alone should have raised a red flag. According to official records, the enterprise actually was created in 2011. “Part of me wondered, what happened in 2001 that a Pakistani might consider a ‘new dawn?’” Rosiak asks rhetorically, alluding to events that took place that Sept. 11. That question seemed to elude law enforcement. Awan also commuted to and from Pakistan to conduct sham real estate transactions, as in one case, when he targeted a group of faculty members at the University of Faisalabad. Awan’s home life was no more reputable than his work life. His wives, Hina Alvi and Sumaira Siddique, lived in constant fear of his violent outbursts. On one occasion, he stood outside the Pakistan home of Siddique’s father, fully aware she was inside with him, and fired multiple gunshots. Rosiak went to the trouble of protecting Siddique for a while. Awan and his brothers also falsely imprisoned their stepmother from October 2016 to February 2017 to ensure that they would receive life insurance benefits from their dying father in Pakistan. This same Imran Awan was the lead cybersecurity geek for more than 40 Democrats in the U.S. House of Representatives, jobs that provided ample cover for extracurricular behavior. With access to all emails and files of these lawmakers and staffers, the Awan crew had potential dirt on a lot of people. Worse, as “shared employees,” providing service to those dozens of lawmakers on an as-needed basis, the House members who hired them were less than attentive to detail. The Awans effectively had carte blanche for breaching security. Evidence indicates that they took advantage of the situation. 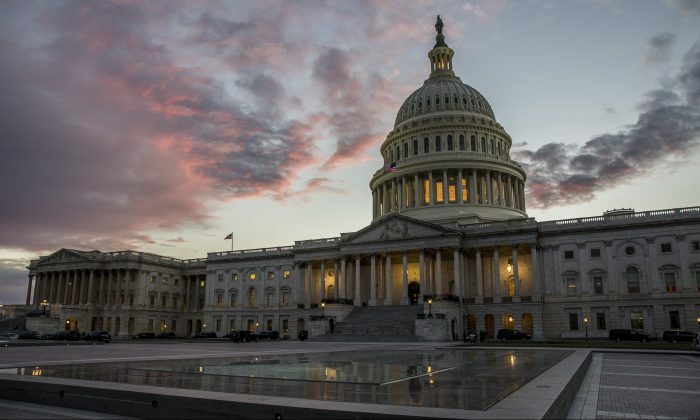 During the last several weeks of the 2016 election season, the House of Representatives experienced a breach in its security system. The House Office of Inspector General had discovered a hack in the House Democratic Caucus network that, coincidentally or not, resembled an earlier hack of the Democratic National Committee. Rosiak, for one, was curious. Tracing the caucus hack to a secret outside account, he found that the last name “Awan” kept cropping up. At the same time, House electronic equipment was disappearing. House Inspector General Theresa Grafenstine, highly knowledgeable in the area of information technology, sensed that something was up. She requested permission from ranking House Democrats to conduct a full investigation. Thanks to some to creative arm-twisting by Nancy Pelosi’s chief fixer, Jamie Fleet, also known as “the Puppeteer,” party leaders went with the more pliant and less knowledgeable Capitol Police. Bad publicity had to be avoided at all costs. That this announcement occurred only two weeks after President Donald Trump’s inauguration, writes Rosiak, was evidence of a planned “news dump,” a practice by which government officials release potentially damaging information when it is least likely to be noticed by news media. And the media now were focused upon, if not obsessed with, Trump’s alleged Russian connections. Two months later, a little after midnight on April 6, 2017, Capitol Hill cops struck gold. A janitor working on the second floor of the Rayburn House Office Building noticed a stuffed bag that had been placed on the ledge in an alcove that was a converted phone booth. He alerted the Capitol Police, which in short order discovered that the bag contained the following items: a laptop computer reported missing by Rep. Debbie Wasserman Schultz (D-Fla.) bearing the username “RepDWS”; a Pakistani ID card; one photocopy each of Imran Awan’s driver’s license and congressional ID badge; letters to the U.S. Attorney’s Office for the District of Columbia; and a composition notebook with a handwritten note marked “attorney-client privilege.” That Wasserman Schultz’s office wasn’t even in the Rayburn Building (it was next door in the Longworth Building) only added to the mystery. By every appearance, Imran Awan was up to no good. He’d already been fired by every House member for whom he was contracted to work—except Wasserman Schultz. Was he blackmailing her? Capitol Police didn’t follow through here. They didn’t seek a warrant to search the Awans’ homes, let alone arrest Imran Awan. Meanwhile, the suspected thefts that prompted the investigation also raised questions. In June 2018, Rosiak, writing for the Daily Caller, reported that Shelley Davis, former chief of staff for Rep. Yvette Clarke (D-N.Y.), quietly agreed in early 2016 to cover the costs of 75 pieces of electronic equipment with a combined purchase price of nearly $120,000 reported as missing from more than 20 House offices. Imran Awan’s brother, Abid, one of Clarke’s employees, had requested the write-off. Clarke’s office didn’t alert authorities to the money when brought to her attention. The missing objects almost invariably carried a $499.99 price tag, just below the $500 House Chief Administrative Officer tracking code. A Justice Department memo in December 2016 had concluded, “Some of the equipment either disappeared or never made it to the member’s office for whom the equipment was purchased.” Indeed, a top aide to Clarke, Wendy Anderson, on one occasion in December 2015, caught Abid Awan red-handed rummaging through equipment in Clarke’s office. Unbelievably, Clarke didn’t fire Awan until six months after acknowledging that equipment was missing. Examining the evidence, Rosiak suggests that Davis, who inexplicably resigned as chief of staff in February 2016, was working in tandem with Awan. The whistleblower, Anderson, also had to find employment elsewhere. From any angle, the Awans appeared to be thieves. But it was likely they were something more. Most of official Washington, however, sung the same refrain: This was theft and nothing more. That one of the recovered items attributable to the Awans was a laptop bearing the initials of Wasserman Schultz didn’t seem to matter. Neither did the fact that Awan knew the password to the iPad used by Wasserman Schultz for Democratic National Committee business before her resignation in the summer of 2016. To the powers that be, it was inconceivable that Congress was playing host to renegade hackers. A palpably fraudulent real estate transaction might well have been the undoing of Imran Awan and wife Hina Alvi. In December 2016, after having spent three months back home in Pakistan (from where the couple regularly logged into congressional computers), they returned to the United States. Days later, Awan approached the Congressional Federal Credit Union, requesting a home equity line of credit against each of two of his wife’s rental properties. In the process, the couple gave false information to loan officers about their motives, personal finances, taxes, and family status. On Jan. 8, 2017, he filed a request form in Alvi’s name to the credit union to wire a combined $283,000 to two individuals in Faisalabad, Pakistan, one of whom was a police officer. To investigators, this looked like mortgage fraud. Yet, they wouldn’t entertain the possibility of espionage as well, even though House Chief Administrative Officer Phil Kiko, in fact, possessed potentially incriminating evidence to that effect. At least law enforcement now had something to chew on. On July 25, 2017, Imran Awan was arrested for credit union mortgage fraud at Dulles International Airport by the FBI, Capitol Police, and Customs agents while attempting to board a flight destined for Pakistan, where he had planned to join his wife and stay for six months. He was carrying a briefcase carrying $9,000, two wiped cell phones, and a laptop with one file—a resume that listed his home town as Queens, New York. He pleaded not guilty and was released without bail. It was only then, and reluctantly, that Wasserman Schultz fired him. That August, Awan was hit with a superseding four-count indictment, all relating to fraud. During this time, Alvi, who had left the United States for Pakistan in March 2017—she was allowed to board a plane despite highly suspicious behavior—signaled her intent not to return. Instead, she sued Awan for fraud and polygamy (which as Rosiak argues, was a ruse) allegedly after finding out he had married a Pakistani woman, Siddique, in August 2015. Yet the couple, despite being stripped of their House security credentials, continued to receive protection from people in high places. The FBI was no more committed to digging for the truth than were House Democrats. Rosiak reveals throughout the book how the bureau did nothing, even given mounting evidence of a conspiracy. FBI agents managed to ignore what Rosiak had discovered, such as Awan’s receipt of payments from foreign officials while working for members of the House Intelligence Committee and his receipt of payments from a foreign government minister with ties to the terrorist group Hezbollah that had been laundered through Awan’s fake car dealership. FBI agents didn’t even bother to interview a family relative who had sworn that large quantities of House electronic equipment were being shipped to Pakistani officials. Nor did two FBI special agents, Spencer Brooks and Nathan Frank, show up (as they previously had promised) at Awan’s guilty plea hearing of July 3, 2018, even after Awan’s second wife, Siddique, personally had told them in an interview only hours before that her husband had bragged to her that he was a “mole” in Congress. The FBI’s main achievement was standing guard at Siddique’s home to make sure she couldn’t escape to attend the hearing. The Department of Justice also was useless. The FBI and federal prosecutors actually had initiated the case in the waning weeks of the Obama administration. A Dec. 6, 2016, FBI memo indicated an intent to probe the Awans. But as Democratic Party leaders came to see the investigation as adversely affecting their fortunes, they pressed the DOJ to backtrack, which the DOJ did. The situation didn’t change in the Trump era. Attorney General Jeff Sessions seemed oblivious to the motives of partisan Democrats nominally under his command. Rachael Tucker, Sessions’s top political aide, was completely focused on protecting her boss. Repeatedly, she told House Inspector General Theresa Grafenstine, who resigned in September 2017 after seven years on the job, that the FBI would handle everything—which, of course, it didn’t. Prosecutor Michael Marando, the only DOJ attorney familiar with the details of the case, treated Grafenstine more as a suspect than as an information source. House Republicans, like their Democratic colleagues, proved blind to reality. Rep. Gregg Harper (R-Miss. ), chairman of the Committee on House Administration, continuously deferred to the judgment of Justice Department rather than inform fellow Republicans of the “ongoing” (and hence secret) investigation. House Speaker Paul Ryan (R-Wisc.) was especially contemptuous of any suggestion that the Awans posed a security threat; he hid all details from members of his party, save for Harper. Ryan’s spokeswoman, AshLee Strong, consistently gave Rosiak the runaround. Rosiak concludes that Ryan, who declined to seek reelection in 2018, actually relished the idea of Hillary Clinton being elected president in 2016 so that he could run against her in 2020. These were, or were indicative of, federal crimes. So why weren’t there indictments or congressional hearings? The reason, in a word, was fear. People in a position to do something were afraid that speaking out publicly in any way would cost them their career. Congressional Democrats and their allies made every effort to thwart investigations into espionage. Two persons above all others, Wasserman Schultz and Christopher Gowen, the lead defense lawyer for Imran Awan, were the Awans’ protectors. And they weren’t above using intimidation to make their point. Wasserman Schultz was vitriolic in her defense of the Awans, dismissing any insinuation of espionage as a “witch hunt.” Even evidence pointing to Imran Awan as having stolen a laptop belonging to her did not dampen her enthusiasm. In one telling incident, Wasserman Schultz put her finger to the chest of House CAO Phil Kiko, a Republican, demanding that he drop his investigation of the Awans or risk termination and calling him an “Islamophobe” for good measure. The intimidation worked. Whereas Kiko earlier had played a key role in kicking the Awans off the House server network, he now was declaring that the probe was outside his authority and that the threat against him by Wasserman Schultz never happened. Just hours after releasing Kiko’s disavowal, the Department of Justice filed paperwork finalizing Imran Awan and Hina Alvi’s plea deal on July 3, 2018. Gowen, like Wasserman Schultz, a Florida native and close associate of the Clintons—he fact-checked Bill Clinton’s autobiography (2004’s “My Life”), worked for the Clinton Foundation, and worked on Hillary’s 2008 presidential campaign—spun the same narrative in a caustic, exaggerated media-centric style. “The attacks on Mr. Awan and his family began as part of a frenzy of anti-Muslim bigotry in the literal heart of our democracy, the House of Representatives. For months, we have had utterly unsupported, outlandish and slanderous statements targeting Mr. Awan coming not just from ultra-right-wing ‘pizzagate’ media, but from sitting members of Congress. Now, we have the Justice Department showing up with a complaint about disclosures on a modest real estate matter. All of this was false. Yet Gowen insisted, laughably, that the FBI’s investigation of the Awans was “probably the most thorough, exhaustive investigation in the history of this country.” When Rosiak, armed with facts, challenged him, Gowen responded: “Totally false. … You are a liar, a Trump pawn, and a very bad person.” To Gowen, much in the spirit as fellow publicity-grabbing, Trump-hating lawyer Michael Avenatti, facts mattered far less than melodramatic self-righteousness. The story did not have a happy ending, at least by the standards of anyone concerned about national security and rule of law. On Aug. 21, 2018, U.S. District Judge Tanya Chutkan sentenced Imran Awan to three months of supervised release, crediting him with time served; sentencing guidelines had called for a two- to five-year prison sentence. As per the plea deal, no restitution would be required. Sounding more like a defense lawyer than a judge, Chutkan denounced the “unbelievable onslaught of scurrilous media attacks” and “baseless accusations” that were “lobbed at [Awan] from the highest branches of government.” She added that Awan had “suffered sufficiently” and “has paid a price that he will continue to pay.” Chutkan even wished him a “good Eid” (a Muslim holiday) when it was all over. Reeking of disingenuous humility, the well-coached Awan declared: “What those people did and all the stories they wrote, I forgive them for what they did. I’m grateful to be here in this country and whatever it has given me.” His wife likewise got off with a tiny tap on the wrist. After Alvi was sentenced to a weekly in-person briefing with a probation officer, Chutkan waived that in favor of a weekly phone call. Awan’s brothers went unscathed, as did Sova and Abbas. As for Imran Awan, he is reportedly seeking work in Silicon Valley where, no doubt, he will find takers. The prospect for institutional reform, concludes Rosiak, is not promising. The virtually nonexistent sentences for Imran Awan and Alvi are invitations for aspiring congressional infiltrators. Remarkably, Awan’s relatives and associates continue to occupy sensitive information technology roles in the executive branch of the federal government. Among examples, Rosiak notes that a former roommate of Awan now runs information technology operations for the Department of Homeland Security’s Customs and Border Protection. “Nothing has changed,” the author writes. “Two years after the Committee on House Administration was informed of the systematic falsification of invoices, it held its first-ever hearing related to the incident.” The same problems exist, he says. They include improper vetting of new hires, unlimited access to House member accounts, and nonapproved software and equipment. “Obstruction of Justice” is necessary reading for anyone seeking to understand how political power in this country operates at the highest levels. A position of formal authority within a bureaucracy or lawmaking body doesn’t necessarily translate into control over renegade employees or contractors. The “Deep State” isn’t a formal plot so much as a government-led social network sharing certain assumptions about how the United States ought to function. And one of the reigning assumptions is that mass immigration, especially from Islamic nations, greatly enriches our country and brings us ever closer to fulfilling our historic promise as a “universal” nation. This wholly sentimental view may be seen as a Stockholm Syndrome-style adaptation to the terrorist attacks of Sept. 11, 2001. It certainly is an expression of contempt for the idea that nations, including our own, have legitimate interests to defend. Examining this saga in its totality, fear of being called “racist,” “bigoted,” or “Islamophobic” emerges as the unspoken reason for the timidity gripping Washington. 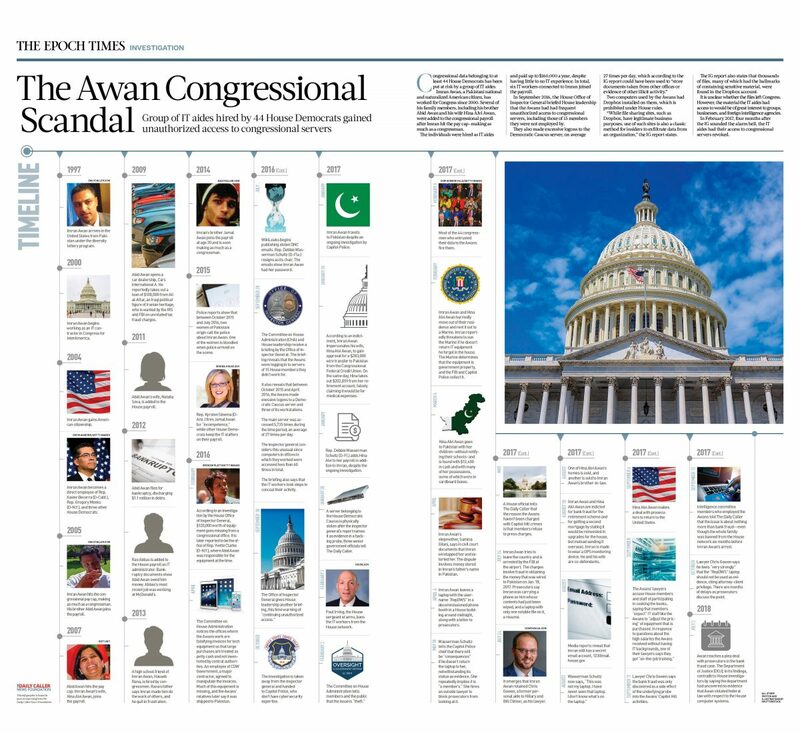 Rather than risk one’s career or social standing, Deep State players and their media allies made clear that those who would expose the Awans would pay a high price. Wasserman Schultz, Gowen, and certain black members of Congress such as Andre Carson, Marcia Fudge, and Gregory Meeks, openly accused truth-seekers of harboring racist motives. Yet in their evasive way, Republicans like Ryan and Kiko enabled them. One wishes that Rosiak could have explored this fear factor a bit more. Obsequious fawning over unassimilable and often-hostile immigrants isn’t simply a detail of the Deep State mindset; it is the essence of it. From the standpoint of their own interests, Deep State managers are right to be alarmed over the election of Trump as president. Trump represents a real challenge to them. Removing him from office, using his “Russia collusion” as a pretext, is crucial to maintaining the ritual denial that the Imran Awans of this world pose no danger to the United States. Luke Rosiak knows better. Applying a gimlet eye for detail and a sense of the larger issue at stake, he conveyed the necessity of dealing with people such as the Awans as much more than simply petty criminals. Such people are a genuine threat to our survival as a nation. “Obstruction of Justice” has its shortcomings, particularly the lack of an index and a timeline, but they pale before its strengths. This is a gripping political thriller that reads like a David Baldacci novel. Except that it’s not a novel. Carl F. Horowitz is a senior fellow at National Legal and Policy Center, a Falls Church, Virginia,-based nonprofit organization dedicated to promoting ethics and accountability in American public life.